Ivars seafood restaurants are all over the area, and here Freja meets up with its founder, Ivar Haglund. 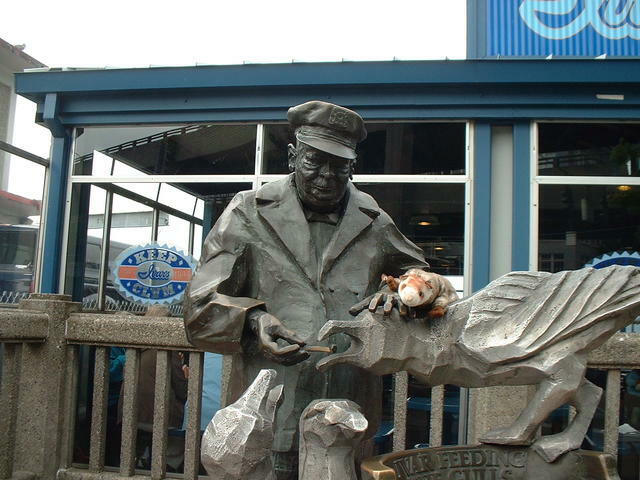 (To Seattleites, Ivar is on par with Colonel Sanders in food icons.) Ivars slogan is Keep Clam, as good of a philosophy as Ive ever heard.